If you want to begin or continue a career in Management but haven’t earned a degree in it, an Associate’s is a great place to start. Managers are versatile, highly-desired professionals that organizations depend on to run efficiently. They supervise employees, practices, analyze anything that impacts their organization, and make swift, efficient decisions to help achieve organizational goals. We’ve ranked 30 of the best Associate’s in Management you can find, prioritizing programs that offer an online degree. That way you don’t have to move, travel to classes, or stop working, AND you can build out your portfolio, experience and education immediately in pursuit of your career goals. According to the Bureau of Labor Statistics, employment in management occupations is supposed to go up 8% between 2016 and 2026, which translates to approximately 807,300 new jobs. It also found that in 2017 the median annual wage for management occupations was $102,590. Many management positions require at least a Bachelor’s degree, if not a Master’s. By earning an Associate’s degree from a community college online, you can take a significant leap towards earning your Bachelor’s degree in the discipline while saving time and money. Depending on the niche you continue your education and/or career in, you can improve your chances at higher wages and job opportunities. At Project Management Degrees we’ve done significant work ranking project management degree programs. 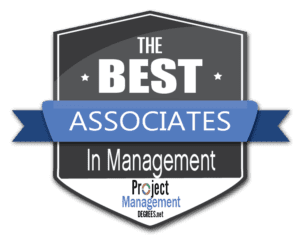 An Associate’s in Management is a natural precursor towards a project management education, which offers exceptionally high wages and even larger projected job growth. In a hybrid (online and on-campus format). With full and part-time options. With specializations in certain aspects of management. With Internships built into the curriculum. With transfer agreements with leading schools. And other great features that maximize value and increase flexibility. LTC offers a 100% online Associate’s degree in Business Management. It can be completed in 4 terms and requires 60 credits. It begins in August and January. Students will be prepared to work as an entry-level manager, office manager, shift coordinator, team leader, or begin their own business. You’ll learn to supervise day-to-day activities, lead your team to organizational success, build leadership and promotional skills, and much more. Sample courses include Business Accounting, Managerial Accounting, Intro to Global Business, Excel, Word, Business Law, and much more. Students can also choose to take this program on campus, or partially on campus and partially online. FVTC is a public technical college in Appleton, Wisconsin. It was founded in 1967. Fox Valley offers occupational training, technical, adult basic, continuing education, and customized employee training. FVTC students can access over 200 associate degree, technical diploma, and certificate programs and instruction in 20 apprenticeship trades. It has credit transfer agreements with over 30 four-year colleges and universities. It also has a campus in Oshkosh, and smaller centers in Chilton, Clintonville, Waupaca, and Wautoma. It’s a member of the Wisconsin Technical College System. Each year, approximately 50,000 people are served in some way by FVTC. The current student population is over 11,600, with a 12:1 student-to-faculty ratio. FVTC offers an online Associate’s in Business Management. It’s for natural leaders to build tangible skills around their temperament, and go on to further education, varied employment, or begin business of their own. Students will study management theory, human resources management, accounting and other quantitative methods, organization and production, marketing and business decision making. Students can choose from six tracks: Accounting, Banking, Entrepreneurship, General, Marketing, and Global. Each specialization comes with 6-8 courses, encompassing 16-17 of the overall 60-61 credits needed to complete the program. Students will also have the opportunity to complete an internship for credit as part of this program. NICC is a public college serving students in Allamakee, Chickasaw, Clayton, Fayette, Howard, Winneshiek, Dubuque, and Delaware counties, among others. It was founded in 1966. It has two main campuses, in Calmar and Peosta. Students are offered degrees in a number of vocational fields and disciplines. NICC offers Associate in Arts, Associate in Science, Associate in Applied Science degrees, and the GED. Students have access to a number of transfer programs at four-year institutions. NICC has notably partnered with the University of Dubuque to help students continue their education after they earn their Associate’s or GED. Over 4,500 students attend the school currently, and it has a 12:1 student-to-faculty ratio. NICC offers an online Associate of Applied Science in Applied Management. It requires 47 credits (in addition to career technical electives), and has start dates in Summer, Spring and Fall. Sample courses include Financial Accounting, Public Speaking, Business Ethics, Principles of Management, Psychology of Human Relations, Human Resources Management, and much more. Students will build skills in accounting, marketing, management/supervision, economics and other fundamentals of business and management. Students may apply up to 28 career technical credits from career and technical programs in this program. Marantha is a private university in Waterton, Wisconsin. It was founded in 1968 by the Fundamental Baptist Fellowship International. Maranatha means “Lo, He cometh.” The school offers undergraduate degrees in fields like business management, accounting, office management, sport management, elementary and secondary teacher education, nursing, humanities, English, biology, music, and church ministries, and graduate degrees in education, biblical studies, biblical counseling, and church music. Over 1,100 students attend Maranatha, which has an 11:1 student-to-faculty ratio. It hosted Governor Scott Walker for a chapel assembly in 2015. Maranatha offers an online Associate of Science in Business Management. It requires 64 credits. Students obtain foundational knowledge and build skills in management, accounting, digital media, and computer technology. Graduates will be prepared to work in a variety of professional environments, continue on in their education, or potentially start their own businesses. Key courses include Computer Applications, Intro to Business and Management, Principles of Accounting 1, and Principles of Management. Students choose 16 credits of major electives as well. Maranatha also offers an Associate’s-Bachelor’s pathway, in which students can continue on to earn an online Bachelor’s degree through the school. Alvin is a public, two-year college in Brazoria county, Texas. It was founded in 1948. Nearly 5,800 students attend Alvin, which has a 14:1 student-to-faculty ratio. It offers Associate of Applied Science (AAS), Associate of Arts (AA) and Associate of Science (AS) degrees, and many certificate programs. ACC is part of the Texas Common Course Numbering System, an alliance by Texas colleges and universities creating a standard set of course designations for students transferring within participating schools. Its Department of Continuing Education and Workforce Development aids students looking to work in health care, professional services, industrial arts, and other professions. Alvin offers an online Associate of Applied Science Degree in Management (60 credit hours) and a certificate in Management (30-31 credit hours). If you’re someone who loves to work in teams, and use critical thinking and problem solving in your work, this program was designed for you. In it, you’ll develop technical, marketing, organizational and behavioral management skills on your way to beginning or advancing your management career. Graduates will be prepared to work at hotels, in retail, industrial management, store management, office management, management support, service marketing, a host of supervising and human resources positions and more. Texas’ economy is doing significantly better than most states, so parlaying your online degree from Alvin into an area job might be a good idea (it’s also the most affordable school on our list). North Dakota State College of Science is a two-year, public college in Wahpeton, North Dakota. It’s part of the North Dakota University System. It was founded in 1903 by the state constitution. Today it offers undergraduate degrees, certificates and diplomas in over 80 academic choices in career programs, technical studies and liberal arts programs. Approximately 98% of its graduates are employed or continuing their higher education. Its programs include Hospitality and Tourism, Health Science, Education, Finance, Business, Management and Administration, Manufacturing, Marketing Sales and Services, and much more. Nearly 3,000 students attend NDSCS, which has a 13:1 student-to-faculty ratio. NDSCS offers several Associate’s in management, including an online A.A.S. in Administration and Finance, an on-campus A.A.S. in Business Management with Business Pro Curriculum Options, an online Business Technology Management A.A.S., an online Marketing, Sales and Hospitality A.A.S. and an on-campus A.A.S. in Restaurant Management. Students can opt to take the online programs on-campus too, if they prefer. The second program allows students to choose emphasis areas like sales, management/supervision, entrepreneurship, and finance. The Business Technology Management option is for students who have previously completed a technical degree program. Community Care is a private, non-profit career college in Tulsa, Oklahoma. It was founded in 1995. Its main campus is also represented by Clary Sage College and Oklahoma Technical College. CCC has remained vigilant in expanding its offerings, which include dozens of diploma and degree programs. In 2004, it started offering Associate of Applied Science degrees, and expanded into Associate of Occupational Science Business and Industry Management degrees in 2017. Under 600 students attend CCC, which has a 21:1 student-to-faculty ratio. CCC offers an online Associate of Occupational Science in Business & Industry Management Degree. It can be completed in as little as 9 months. Graduates have gone on to work at organizations like the Tulsa Public School, Saied Music Company, Miller Hospice, Arvest Bank, BluStem Gardens, Mohawk Industries, and more. Unlike an Associate of Science degree, this AOS program focuses more on business-specific classes over general education coursework. CCC notes this program isn’t designed to be a bridge to a Bachelor’s and is a standalone degree preparing graduates for employment. Coursework includes developing a business plan, and courses can be catered towards a student’s industry of choice. 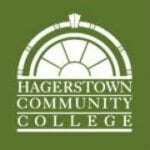 Hagerstown is a public, community college in Hagerstown, Maryland. It was founded in 1946, making it Maryland’s first community college. It offers 100 programs of study that lead to university transfer, career preparation, or personal development, non-credit continuing education courses, customized training programs, Washington County’s adult education program, Associate degrees, certificates and letters of recognition. Over 4,000 students attend Hagerstown, which has a 17:1 student-to-faculty ratio. 75% of its students receive some sort of financial aid or scholarships, receiving over $19 million in public and private funding. Hagerstown offers an online Management A.A.S. It was built to give managers and prospective managers a diverse educational experience which builds and enhances their effectiveness. Students gain basic competences in a large number of business and management functions. They also study external factors that impact business and management, and social responsibilities in business and management. The program requires 60 credit hours, 21 of which are electives like Public Speaking, Marketing, Corporate Finance, Calculus with Applications, among others. Students take 21-23 credits of general education classes in Arts/Humanities, Behavioral/Social Sciences, Biological/Physical Science, Diversity, English, and Mathematics, before moving on to their electives and their program requirements (18 credits). DSU is a public, technology-focused university in Madison, South Dakota. It was founded in 1881. DSU offers graduate (a “robust” selection) and undergraduate programs (35 majors) in computer science, business, education, natural sciences, liberal arts and more. Its motto is, “Technically, we’re better.” The school has over 3,300 students and a 7:1 student-to-faculty ratio. In 2013, DSU ranked 4th among online schools in the United States on Guide to Online Schools’ rankings that year. It also tied at #32 among top public schools in the 2017 U.S. News & World Report’s midwest rankings. DSU notes its most recent graduating class had 99% job placement, and many majors have 100% job placement. DSU offers an online Business Management AS. It gives students a foundational education in business and accounting to help them begin their careers or continue their education at DSU or elsewhere. DSU’s Bachelor’s of Business Administration accepts these credits, and has five specializations for students to choose from. In the AS program students will make intensive use of spreadsheets, internet applications, and QuickBooks accounting software. Sample courses include Marketing, Written Communications, Survey of Business, Oral Communications, Organization and Management, and Managerial Communications. The University of Massachusetts Lowell is a public research university in Lowell, Massachusetts. It serves over 18,300 students and offers a 17:1 student-to-faculty ratio. It’s the second largest public university in the state behind UMass Amherst. UMass-Lowell is known for its degrees in engineering, criminal justice, business, education, music, science and technology. U.S. News & World Report ranked UMass Lowell at 152 among top-tier National Universities list in 2016. UMass Lowell is one of only six schools to rank higher on that list each year since 2010. It gained 27-spots in the past five years, which is second-fastest in the country. USNR also ranked it 78th among top public universities and second in the state. Forbes rated UMass Lowell the 10th best value among all universities and colleges nationwide in 2013, and fourth in value among non-military academies. UMass Online offers an Associate of Science in Management. It gives students a “comprehensive introduction to the world of business in today’s global economy.” You’ll build analytical skills and tackle business practices, marketing, financial accounting, statistics, and much more. Its courses come from the widely respected Manning School of Business (MSB). This program requires 65 credits, and is designed for working adults looking to begin or complete their college education. All of the credits in the program are transferrable to UMass Lowell’s Bachelor’s Degree in Business Administration. Northcentral is an online, for-profit university. It was established in 1996. NCU is a Doctoral Research University based in San Diego, California. Currently, the school is owned by Rockbridge Growth Equity, LLC and Falcon Investments, LLC. Northcentral offers undergraduate, graduate, specialist, and doctoral degrees in schools of Business, Technology, Education, Health Sciences, Social and Behavioral Sciences. The school’s mottos is “One-to-One Education By Experience.” NCU serves over 10,700 students, and maintains an unheard of 1:1 student-to-faculty ratio, giving students of all ages and educational backgrounds individual attention to help them get the most from their NCU experience. Its business degrees are accredited by the ACBSP. NCU offers an online Business Management Associate Degree. It requires 61-62 credits. Students study accounting, management, leadership, business law, human resource management, communication and other business topics, and be prepared to manage effectively in the evolving global economy. Sample courses include Psychology of Human Relations, a Mentored Business Experience, Project Management, Business Law, Lean Organizations, and much more. Students will also learn to control business processes, organize resources to meet operational goals, plan operations and direct people to do all of the same. NCU offers transfer partnerships with UW Superior, Herzing University, Viterbo University, and Western Governors University for Bachelor’s degrees in a variety of Business and Management disciplines. 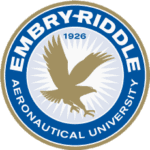 ERAU is a private university that was founded in 1926. It is based in Daytona Beach, Florida, and Prescott, Arizona, although it has other locations through its Worldwide Campus, which enrolls thousands of students in 130 campuses and the Internet. Emery is the largest university system focused on aviation and aerospace. It offers Associate, Bachelor, Master’s, and PhD degrees in arts and sciences, aviation, business, engineering, computer programming, cyber security, and more. Over 20,800 students attend ERAU, and it offers a 17:1 (for Daytona students) or 19:1 (Worldwide Campus students) student-to-faculty ratio. ERAU’s online programs have been widely applauded, and U.S. News & World Report ranked the school #1 out of almost 300 Online Bachelor’s Programs in 2016. ERAU offers an online Associate in Science in Aviation Business Administration. It allows students to begin their education in business, develop analytical and critical thinking skills and apply them to current aviation business problems, all while continuing their current work. While the program is focused on aviation, the skills and knowledge conferred within it apply to any field, and are representative of a more general A.S. in Business Administration. The curriculum covers: Economics, Management of Aeronautical Science, Business Statistics & Accounting, Business Marketing & Management, Human Resources, Finance, and more. In total this program requires 60 credits. Ohio University is a large, public research university in Athens, Ohio. It also has many ancillary, regional campuses. It’s the oldest university in Ohio, and was founded by the state in 1804. OU offers undergraduate programs in 250 areas of study, and graduate degrees in most of its departments, including Arts and Sciences, Business, Communication, Education, Engineering and Technology, Fine Arts, Health Sciences and Professions, Leadership and Public Affairs, Medical and Graduate Studies, among others. Over 29,300 students attend the school (17:1 student-to-faculty ratio). 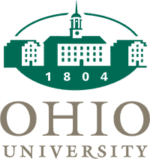 Its eCampus offers free online tutoring services, and a survey that helps students figure out if they’re ready to start an online program at Ohio University. Ohio offers an online Associate in Applied Business (A.A.B.) in Business Management Technology. It’s aimed at providing a balance between theory and practical skills for students interested in management. You’ll learn about the supervisory aspects of human resources, marketing, operations, supervision, planning, distribution and more. Ohio also offers an online Bachelor of Science in Applied Management that this program could easily feed into. The school notes the flexibility of its online programming, and tuition rates reflective of its on-campus offerings. MCCC is a public, two-year community college in Mercer County, New Jersey. It was founded in 1966. Over 7,600 students attend the school, which has a 17:1 student-to-faculty ratio (over 11,000 take classes each year). The school offers a dual admissions program, which guarantees transfer to six New Jersey colleges: Rutgers University, Rider University, The College of New Jersey, Montclair State University, the New Jersey Institute of Technology and Thomas Edison State College, in addition to Virginia’s James Madison University. MCCC offers 75 associate degree programs and numerous credit and noncredit certificate programs. Mercer’s Career Services and Placement Office collaborates with the NJ Employment Service to help students get employed in their fields of study. MCCC offers an online Associate in Applied Science Degree in Business Management. It comes in four concentrations which require 15 credits of study each: Business Systems, Entrepreneurship, Management, and Software Professional. Sample courses include Public Speaking, Elementary Statistics, Principles of Management, Personal Finance, Basic Economics, and much more. Student learning outcomes include using financial tools and concepts to complete personal goals, building up their computer literacy, examining ethical issues in business, understanding basic accounting and its role in management, analyzing and solving common business problems, and much more. In total this program requires 62-64 credits. The school recommends students interested in earning their Bachelor’s in labor or management continue on to the Rutgers School of Labor and Management, which offers a program through MCCC. NCMC is a public, community college in Trenton, Missouri. It was founded in 1925. Over 1,800 students attend NCMC, which has a 21:1 student-to-faculty ratio. In total, it serves 16 counties, and students everywhere online. All of its general education courses can be taken entirely online. NCMC also offers entirely online programs in Accounting, Behavioral Health Support, Nursing, Criminal Justice, Early Childhood Education, Business, and more. NCMC is accredited by the Higher Learning Commission. The vast majority of its students that take advantage of NCMC’s Support Service tutoring found it helpful. NCMC offers an online AAS in Business and Technology with a Management emphasis. It can be completed in two years. NCMC only has students take 15 credit hours of general education before they delve into 46-58 credit hours of business, technology and management courses. Sample major courses include Credit and Finance, Entrepreneurship, Human Resource Development, Employment Strategies and much more. The program was designed for students with no dual or transfer credit, but it may accept applicable credits. It also assumes students don’t need to take Developmental Studies courses, and uses placement test scores to determine whether or not they do. Minnesota West is a public, community and technical college with five campuses in Minnesota: Canby, Granite Falls, Jackson, Pipestone, and Worthington. It also has three learning centers in Luverne, Marshall, and Redwood Falls, and its online division. It was founded in 1997. There are over 3,100 students, and the school has an 18:1 student-to-faculty ratio. The school is known for extensive online Computer Science, Accounting, Business and Management programming, resulting in Associate degrees and Certificates. They have been recognized for their excellence in the state of Minnesota, and among online colleges in the nation at large. Minnesota West offers an online Business Management, A.S. It can also be taken at the Worthington campus. It prepares students to continue their education at a four-year school, or get entry-level positions in offices, private industry, civil service, and other business fields. It requires 60 credits. Sample courses include Principles of Management, Principles of Accounting 1 and 2, Professional Selling, Business Law, Human Resource Management, and more. Prospective students should also consider Minnesota West’s Customized Training/Management programs, which offer management training in specific areas like Farm Business Management, Lamb and Wool Management, and Small Business Management, among other disciplines. Clarion is a public university that was founded in 1867. It’s one of fourteen universities in the Pennsylvania State System of Higher Education (PASSHE). It confers associate bachelor’s, master’s degrees and post master’s certificates in over 100 academic programs. Just over 5,200 students attend the school, which has an 18:1 student-to-faculty ratio. Clarion’s College of Business Administration offers 15 different undergrad and graduate programs through departments of Accountancy, Computer Information Science, Economics, Finance, Library Science, and Management and Marketing. The school notes that 95% of its students receive some sort of financial aid. Clarion offers an online A.S. Business Administration with a General Management Concentration. It’s the only program of its kind at Clarion. Students will be prepared to begin entry level business positions, or continue on with their baccalaureate studies at Clarion or elsewhere. It’s offered online and at the Clarion and Venango campus. Students take 21 credits of general education, 15 credits of general business management courses, and then 24 credits of business core subjects. Sample courses include Fundamentals of Insurance, Mgmt. Theory and Practice, Public Speaking, Principles of Macro and Microeconomics, among others. 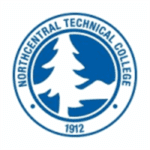 Northland is a public, two-year college with campuses in East Grand Forks and Thief River Falls, Minnesota. It was founded in 1949 by the Minnesota State Board of Education and its current incarnation is the joint venture of its two main campuses. Northland also has a thriving online division, which currently offers degrees and certificates in Aerospace, Business and Entrepreneurship, Health and Human Services, Liberal Arts and Sciences, and Manufacturing. There are approximately over 1,370 full-time students, and over 2,200 part time students. Over 430 faculty and staff members work at Northland. Northland offers an online A.A.S. in Sales, Marketing & Management. It requires 60 credits, and can also be taken at the East Grand Forks campus. Its goal is to prepare students to succeed in the 21st century marketplace. The curriculum covers sales, marketing, research, customer service, telemarketing, and small business planning. It emphasizes building skills and experience with management decision-making, interpersonal communication, problem solving, technology, and more. Northland notes that according to CAREERwise, “the median hourly pay as a Marketing Manager in the state of Minnesota is $59.34 per hour.” Students choose two electives from a long list after taking 54 credits of Business, Marketing and General Education courses. NCTC recommends exploring its long elective catalog especially for students hoping to transfer and continue on in their education. ARC is a public, community college in unincorporated Foothill Farms, California, in Sacramento County. It was founded in 1955, and is part of the California Community Colleges System. Over 31,800 students attend ARC, which has a 27:1 student-to-faculty ratio. Between 2004-13 the school rapidly expanded its campus and services. Students at ARC often transfer to top-notch schools like the University of California, Davis and California State University, Sacramento. ARC transfers more students to UC Davis and CSU Sacramento than any other community college. ARC is also known for offering online, hybrid, and web-enhanced delivery format options for students who are looking to take their classes on the Internet. ARC offers an online AA in Small Business Management. It’s designed to offer education and practical for people who want to own or manage a small entrepreneurial venture. It emphasizes what goes into starting and operating a small business. Sample classes include Business Law, Small Business Management/Entrepreneurship, Business Economics, Financial Accounting, and many more. There are 34 required units in this program, and students choose at least six credits from a number of electives that are worth 1-3 units each. They can choose to take more to concentrate on aspects of running a small business that will help them fulfill their career goals. State Fair is a two-year, public college in Sedalia, Missouri. It’s right next to the Missouri State Fairgrounds, and also serves students online, and from other campuses in Boonville, Lake of the Ozarks, Clinton, Warsaw, and Whiteman AFB. It was founded in 1966. Over 4,700 students attend State Fair, which has a 19:1 student-to-faculty ratio. It offers the following degrees: Associate of Arts (AA), Associate of Arts in Teaching (AAT), Associate of Fine Arts (AFA), Associate of Science in Chemistry (ASC) or Associate of Science in Engineering (ASE) degrees, and skills and professional certificates. State Fair offers 260 online classes. State Fair offers an entirely online Associate of Applied Science degree in Business Management with a Management Speciality. It requires 61 credits. It’s for students who are self-motivators, love to analyze information and make decisions that solve problems. Students will build up their goal-setting, coordinating, motivation, leadership, ethics, and communication skills. Students do a two-month summer internship to enhance this program. Sample courses include Personal Finance, Principles of Management, Legal Environment of a Business, Human Relations and many others. It can lead to entry-level positions in human resource management, banking, insurance, and entry-level management positions in retail, sales, food service and more. MCTC is a two-year, public, open-admissions college in Maysville, Kentucky. It’s part of the Kentucky Community and Technical College System. MCTC was founded in 2004. It also offers students six counties access to campuses in Licking Valley, and Rowan, in addition to its online programming, which is open to all. The school also offers programming at the East Kentucky Correctional Complex. Over 80% of Maysville’s students receive financial aid, and the school notes it has the lowest tuition in Kentucky (for residents of the state). The school offers programs in various forms of technology, manufacturing, business, criminal justice, culinary arts, medical training and more. MCTC offers an online Business Administration Systems A.S. with a Management Track. It requires 63-67 credit hours. Students will learn to utilize resources efficiently, delegate responsibility, analyze trends and their effects on business, use qualitative and quantitative assessment, and much more. You’ll be prepared to work in a variety of positions across diverse organizations. Management Track courses include Introduction to Financial Management, Applied Management Skills, a math elective, and four electives from the Approved Management Technical Courses. Sample electives include Supervisory Management, Small Business Management, Introduction to Quality Systems, Entrepreneurship, and more. NHCC is a public, community college. It was founded in 1966, and is based out of Brooklyn Park, Minnesota. It’s part of the Minnesota State Colleges and Universities system, the fifth largest higher education system in the country. Currently, the school serves over 6,500 students, and offers a 24:1 student-to-faculty ratio. 75% of its undergraduate students receive financial aid. North Hennepin was ranked the 67 best community college in a list of 700 two year colleges in the nation by WalletHub in 2017. NHCC offers Associate degrees and certificates in Art and Science, Entrepreneurship, Business principles, Construction management and more. They also offer 13 bachelor’s degree programs in collaboration with other Minnesota schools. NHCC offers an online AAS in Management. Online students at NHCC can expect Counseling Services, Career Resources, Financial Aid, Bookstore, Tutoring, Writing Center and Access Services. Their programs were designed to allow matriculation and Bachelor’s completion at a number of universities and in a number of specialties. Partner universities include Concordia, Kaplan, Minnesota State and the University of Minnesota. Some of the degrees students can continue on to earn include Human Resources Management, Marketing Management, Business and more. They also offer Associate degrees in Marketing, Finance Management, Entrepreneurship, Business Administration, Business Computer Systems and Management, Accounting and other related degrees and certificates all online. Richland offers an online Associate of Applied Science in Management. It has full and part-time options, and was designed for students that meet the requirements for the Texas Success Initiative Assessment. Make sure to talk to an advisor at Richland about whether you qualify and what delivery format best works for you. Sample courses include Business Principles, Cooperative Education, Principles of Financial Accounting, Small Business/Entrepreneurship, and Problem Solving and Decision Making. It requires 60 credit hours in total. Tulsa is a two-year, public college in Tulsa, Oklahoma. It was founded in 1970, and was formerly known as Tulsa Junior College. It’s the largest two-year college in the state, and has an annual budget of approximately $112 million. TCC has been ranked in the top 3% of Associate degrees conferred among more than 1,150 community colleges in the country multiple times. It offers online degrees and certificates through schools of Business and Information Technology, Child Development and Education, Liberal Arts and Communication, and Science and Mathematics. Tulsa offer an online Business AAS with a Management option. It was designed to build leadership skills, improve your decision making, teach you how to motivate others, resolve conflicts and much more. Students can also build their managerial skills with internship opportunities through this program. It requires 60 credit hours, 42 of which are spent in specialized courses in areas like Business, Computer Information Systems, Human Resources, Management, Marketing, and Controlled Electives. Students will also take 18 credits of Mathematics, Psychology, History and Political Science, and English, giving them a very well-rounded education that’s weighted heavily towards business courses. FTCC is a community college in Fayetteville, North Carolina. It’s accredited by the Southern Association of Colleges and Schools Commission on Colleges (SACSCOC) and is a member of the North Carolina Community College System. FTCC was established in 1961. Over 11,600 students attend FTCC, which has a 19:1 student-to-faculty ratio. Fay Tech offers more than 190 occupational, technical, general education, college transfer, and continuing education programs, and is the 4th largest community college in North Carolina. It’s known for having a robust Continuing Education department, widely considered one of the best in North Carolina. FTCC offers online Associates degrees in Human Resources Management, operations Management, Hospitality Management and Healthcare Management. Students will learn foundational concepts in Finance, Analysis, Productivity, Quality, Resource Management, Compensation and Benefits, Employment Law, and much, much more. All of the programs are offered 100% online. You’ll learn to manage people, goods, services and processes, and be prepared to continue your education or seek entry-level management positions in a number of different organizations and industries. MCCC is a public, two-year college in Blue Bell, Pennsylvania. It has two satellite campuses in Pottstown and Lansdale, and also offers online programs. It was founded in 1964. Almost 10,400 students attend Montgomery, which has a 16:1 student-to-faculty ratio. The school has 34 four-year transfer partners, and 35% of its faculty hold a doctoral degree in their field. MCCC offers over 100 associate degree/certificate programs in 44 areas of study, almost a dozen online degree and certificate programs, and several hybrid online/traditional programs. They also boast a network of 30,000 alumni. MCCC offers an online Associate of Applied Science degree in Management. It’s aimed at teaching students to manage effectively and improve their career in business. It requires 61-63 credit hours. Sample major requirements include Ethical Decision-Making in Business, Human Resource Management, Principles of Management, Entrepreneurial Essentials, Business Law and much more. Students can attend the program full-time or part-time. Graduates will be prepared to transfer into a four-year university, seek entry-level employment as managers, or begin their own businesses. Westmoreland is a public, community college in Youngwood, Pennsylvania. It was established in 1970, and its motto is simply, “ambitious.” Nearly 5,100 students attend Westmoreland, which has a 17:1 student-to-faculty ratio. Its academic programs result in associate degrees, certificates, diplomas and/or transfers to four-year institutions. In all, it offers 65 associate degree, 20 diploma, and 78 certificate programs. WCCC offers five different types of online learning delivery formats. It offers 30 100% online programs, and nearly two dozen 50% online programs to boot. Westmoreland offers an online Business AAS with a Management option. There’s also a related Management certificate program. The management option’s goal is to ready students for entry-level management positions across industries and organizations. Students will develop basic competencies in a number of vital business functions. The AAS program requires 60 credits, and has fascinating courses like Labor Relations, Organizational Behavior, Business Strategy, Accounting for Managers, Business Communication, and Principles of Marketing, among many others. The program focuses heavily on business courses, allowing students to largely meet general education requirements with tests or pre-requisite courses. Graduates will be prepared to work as assistant managers, production managers, management trainees, department supervisors, quality control officers, warehouse managers, or similar positions at large corporations, small businesses and nonprofits. Mesa is a public, two-year college in Mesa, Arizona. It’s the largest of the 10 community colleges in its county, the largest community college district in the country in enrollment. Over 20,400 students attend Mesa, which maintains a respectable 21:1 student-to-faculty ratio. It was founded in 1965. It offers students access to over 200 degrees, transfer, career and certificate programs in disciplines like Agribusiness, Business, Bio Technology, Computer Science, Dental Hygiene, Electronics, Engineering, Fire Science, Mortuary Science, Nursing, Urban Horticulture and more. MCC is one of the biggest transfer partners with Arizona State University. It offers traditional, online and hybrid courses. Mesa offers an online Associate in Applied Science in Organizational Management. The program focuses on management theory and practice. Students can choose to take 12 credits in a speciality area of business they’d like to go into, like dance, culinary studies, health, etc. There are two areas of study: Organizational Management and Organizational Leadership. It requires 62-63 semester credits to complete. Students take General Education courses, Program Requirement courses, and General Electives. Students can seamlessly transition to an Arizona four-year school and earn their Bachelor’s degree in Business through this program. PCC is a public, community college. It’s the community college largest in Oregon. PCC was founded in 1961 as an adult education institution. It offers its programming through campuses, learning centers and its online presence. Over 28,000 students attend PCC, which has a 21:1 student-to-faculty ratio. Some of PCC’s focuses are to, “enrich the community through lifelong learning, build a greener workforce while shrinking our carbon footprint, and maintain our responsibility to be a sound financial steward of public dollars.” PCC’s community has taken good care of it, most recently in 2008 approving the schools “$374 million bond measure to address workforce shortages in industry, update equipment and technology, and expand classroom space.” The school offers programs in 60 career fields, in addition to its university transfer programs. PCC offers an online Associate of Applied Science in Management and Supervisory Development. It will enhance students skills in supply chain management, continuous improvement, critical thinking, digital and other forms of communication, problem solving, and much more. It requires 90 credit hours. Students take Support Electives (11 credits), Program/Workshop Electives (9 credits) and General Education (12 credits) in addition to completing the rest of the curriculum in required major-specific courses. The program was designed to give students maximum flexibility, offering schedules for working professionals and full time students, both on its campus and online. TCC is a two-year, public college in in South Hampton Roads, Virginia. It also has campuses in Chesapeake, Norfolk, Portsmouth, Suffolk and Virginia Beach. It was founded in 1968. It’s the 11th largest public two-year community college in the country, and one of the 50 fastest-growing large two-year institutions. There are almost 22,800 students at TCC, which has a 22:1 student-to-faculty ratio. It’s known for its vocational and transfer-oriented degrees and certificates, including nursing, business, and culinary arts degrees, among others. It’s also known for offering several career programs in marine trades and logistics. Tidewater offers an online Associate of Applied Science in Management. It gives students a theoretical understanding and a practical grasp on accounting, marketing, business law, statistics, economics and human resource management. Whether students are learning to manage staff, supervise accounting, create marketing strategies, or manage operations, they’ll be learning how to do things that instantly apply to a wide variety of positions across industries and organizations. You’ll build a strong foundation in finance and business operations, and participate in an internship that builds expertise and your resume with actual real-world business experience.